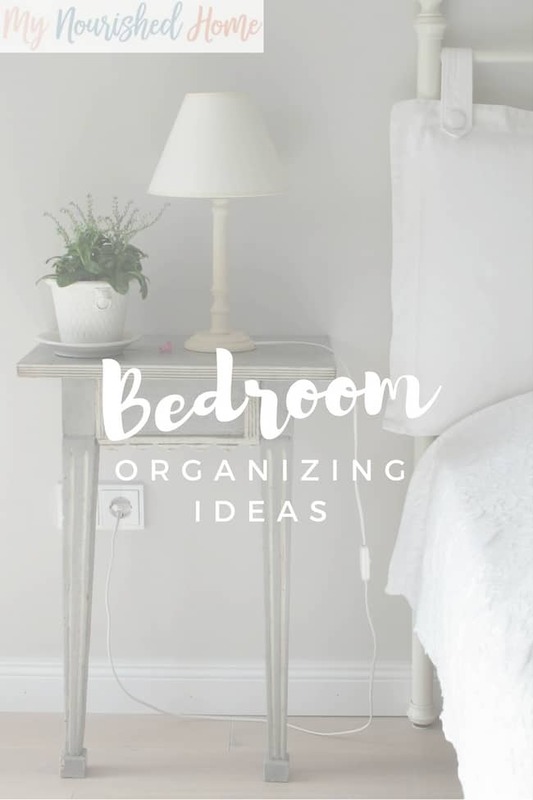 Need Bedroom Organizing Ideas for your overwhelmed and overrun personal space? If getting your bedroom organized is a dream, don’t panic, it is easier than you think! The problem with bedrooms, they’re easy to use it as a dumping ground, you put things in there because you don’t know what else to do with them! We have this same problem in the closet – if you do too, you can check out Tips for Organizing Your Closet too. Stop, make a decision as to what you want in your bedroom and note the things that don’t belong there! By making a plan as to what items you want in the bedroom and what needs removing, it can help to bring your organizing ideas together and to work out what you need to do. My husband loves the phrase planning to plan. Yes, I know that sounds redundant. 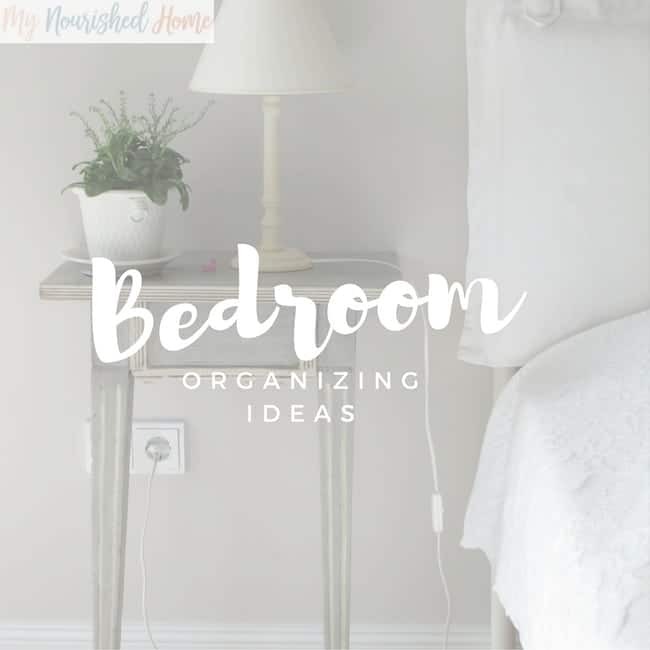 But having a plan for how to keep your bedroom organized in the long term helps you determine what exactly you need to organize at each step. Finding new homes for items that are in the bedroom but don’t belong is important. You don’t want a pile of items dumped into another room, it becomes a problem there too! Tackle the problem as you go, find new homes for all the items you remove! You have to have a plan as to how you want the bedroom to look when you complete the task, this allows you to see the potential and what organized will look like to you! Take it one step at a time, it is easy to pull everything out, another matter completely getting it put away! This is why you should take it slow and tackle one area at a time. Sometimes, it is OK to cheat, just a little bit when it comes to organizing! You don’t have to do everything perfectly and there are some tips that you can use to help you create the impression of being organized. Make the bed every day, this helps to pull a bedroom together. Pick up things off the floor, don’t leave toys, clothes, or clutter laying around. Get in the habit of picking things up. Shut doors and drawers, if they are not perfectly organized if they are shut who is to know! The better you take care of your clothes and jewelry the better they will look and last. Hanging clothes up properly in your closet, storing your underwear correctly in your drawers, all helps to make them more appealing when you look through your belongings. It will make you feel better to just pick items to wear rather than having to iron a shirt because you didn’t ensure that it was hung correctly in the closet. The same for your jewelry, look after it, don’t just dump the items in a jewelry box and hope for the best. Store them so that necklaces don’t tangle and you can see and wear your jewelry with pride! Ensuring that you put things away, hang something properly all adds to the feeling of an organized space! Storing seasonal clothing in boxes, labeled of course! This all adds to an organized bedroom, a place you will want to spend time in! What is your best tip for organizing a bedroom?